Tonight marks the 12th season premiere of the very popular talent show, American Idol. Shown on Fox at 8 pm, American Idol will still be hosted by Ryan Seacrest. However, the show is on the edge. It is considered an “old” show and its ratings have been on a downward spiral for the last few years. In 2012, Idol lost the title of most watched TV program. The last time that happened was in 2003 when it was passed by Sunday Night Football. Last season was also the lowest rated season since the first season in the summer of 2002. It is rumored that Idol is paying the judges a combined $36 million. Will they help the show or only bring PR to themselves? Fox and the producers are hoping that we will all tune in to find out that answer. There will be other changes in the show, but those are things we will see as the season continues. Maybe they will have a great season and the numbers will turn around. Every time the beginning of the Idol season starts, I think back to Season 2. 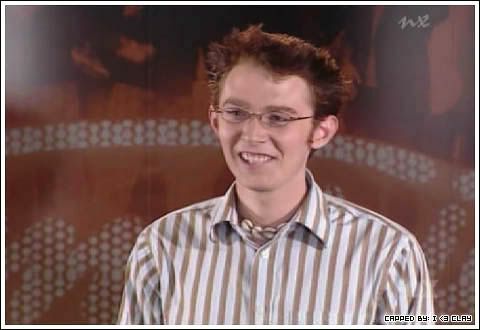 I remember watching Clay Aiken in Atlanta and loved sharing in the excitement when he learned he was going to Hollywood. That’s what the show should be about!! 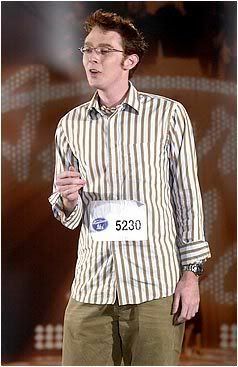 I will always be thankful for American Idol because they introduced Clay Aiken to the world. However, I haven’t watched the show for years. The premise of finding an unknown talent is no longer a part of the show and the horrible way they treat the former stars is amazingly disgusting. I will only watch if Clay Aiken is on the show. Will you be watching American Idol this season? I know you have probably seen this video many times. But, it is a Gem and a good video should be seen more than once. I still watch AI but they’ve never been able to top Clay in my book. I hope they do focus on the singers rather than the judges. I am looking forward to Keith Urban though. This was the beginning of a beautiful relationship for so many fans……. carolcooke, boy are your right about THAT! I don't know what I would be doing now if it wasn't for him. My life sure would be empty. He's helped me through some difficult times with his music and voice. I on the other had still watch American Idol. I do it for the entertainment. A few ladies who are NOT Clay fans get together to eat, drink wine and watch the show each week. I am never invested in any of the singers or winners, but if AI isn't on we watch DWTS, or SYTYCD. in a long time! It's a completely different kind of show, now. I do continue to watch AI but not with the same excitement as season 2. If I miss a show now it's no big deal but during season 2 that hour was reserved each week without fail. The show has never been the same for me since season 2! I had not watched season 1 and did not even begin to watch season 2 until the night Clay came back for Wildcard nite…I was hooked from that very first moment!! Hard to believe it's been 10 years since we were introduced to Mr. C! Thanks AI for that! I think the show would be more successful if they brought back previous contestants as guest judges each week…would be fun to see some of them again! I remember this moment so well….while "Idol" will never have that same "home spun" feeling as it once did like when Clay was there, I admit it is entertaining and still a very popular franchise. Clay has left his own personal mark on that show, and NO ONE can dim that spotlight he has set!! Enjoyed watching the clip again. It just never gets old!!!! I won't be watching AI. I haven't for years. Just like you Musicfan, I won't watch unless Clay is a guest, and we pretty well know that won't happen. Clay is the best thing that ever came out of AI. He is an amazing talent. So well rounded and can do anything. Sing, act, comedy, broadway, tv. He definitely is a treasure, and we still love the guy 10 years later!!!!! You can never show us Clay's AI beginnings too many times, Musicfan. It touches me so every time. As carolcooke says, it was the beginning of a beautiful relationship for me, as well as for so many fans. I remember thinking, "What a dork! This is going to be funnnneeee." And then Clay began to sing and I fell in love. It was that simple! However, it was the Rolling Stone cover later that year that totally sealed my fate. 🙂 He's got me for life! It is amazing how Clay's look has evolved since 2003. He has become more confident and his voice is even more powerful now. Count me out of AI. I haven't watched for a few years. Too much about the judges and "guests". Remember how exciting the finale was when Clay & Ruben were competing? Now it is all about how many "stars" they can fit into the final program. It doesn't seen to be about the contestants anymore. Probably only if there is nothing else worth watching. I was recovering from a heart attack when I found Clay in 2003. didnt watch another AI until the 2 Davids and once again was disappointed. but Clay proved that winning the 1st prize doesnt make you a winner.also David Archeleto was on tv at Christmas singing with The Mormon Tabernacle Choir. not too bad 4 another second placer.I love EVERYTHING Clay does!!! I loved this post and I loved reading what all of you had to say. Thank you for sharing your special memories with us! Oh, Clay. We love you and are so glad you tried again and had the courage to put yourself out there when it would have been so easy to have just kept your gift to yourself. Look at all the good that has come from it!! Thank you for the blast from the past, Musifan. I loved it! I didn't click on any of the other ones that popped up afterwards because that's how I get lost in Youtube and wind up late for work! If someone wanted to pay me to watch Clips of Clay full time I'd quit my job tomorrow. If someone wanted to pay to me to watch American Idol today…they couldn't afford it. Keith Urban made me think about it for a moment or two and that's a testiment to how it's all about the judges. I think Clay had the right of it. He owes AI and he's grateful but it's not was it once was. I owe AI for Clay as well and that much I'll gladly say in their favor. I watch every season. I concentrate on the talented singers and try not to let the other stuff bother me. I hope a regular person who isn't already a professional singer wins this year. I was another of those who didn't want to watch a singing competition even though hubby was bugging me to watch with him. I was on my computer and channel surfing but stopped dead in my tracks when a guy named Clay came out to sing in the wild card show. I was totally mesmerized so choosing a nick came naturally. I still am and do believe that i will be mesmerized by this man as long as i am here. Error: Error validating access token: Session has expired on Tuesday, 21-Aug-18 16:13:01 PDT. The current time is Tuesday, 23-Apr-19 17:03:50 PDT.